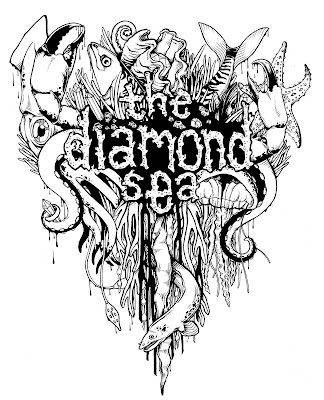 hey, here's the tshirt I did for this Australian band the Diamond Sea. I had intended for it to be printed in three colors, which didn't end up happening but I feel like the design isn't too muddled just in linework alone. just a big pile of ocean crap! Nice one, Jeanne. I really dig that crab claw on the right.